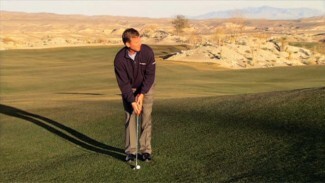 In The Texas Wedge PGA professional Michael Breed demonstrates the proper conditions and techniques needed to successfully utilize your putter from the fringe. In this lesson you will learn to identify the grass conditions that allow for the successful use of a putter when just off the green. 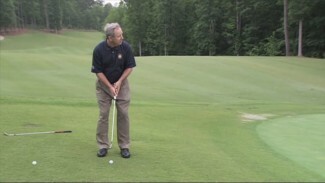 Michael also demonstrates how to set up, practice and execute the perfect Texas wedge putt. 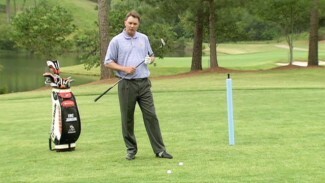 In Ball Striking PGA professionals Eric Johnson and Kip PuterBaugh teach you the principles of hitting the fairway wood. In this lesson you will learn the correct posture and arm positions required for a consistent shot. You will also discover the concept of swing focus versus ball focus and how this translates into a more consistent swing and better results on the course. Every golfer knows the frustration of having a putt come up short. In the Putting Length Drill, PGA professional Michael Breed discusses the reasons for this and illustrates several drills to help eliminate the problem. 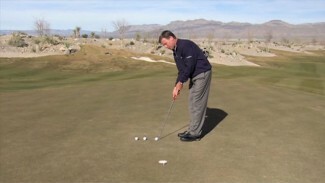 In this lesson you will learn the principle of target putting and how it can help prevent the short putt. Another key to accurate putting is speed, and to help you with this Michael demonstrates a unique two ball drill that will help you to visualize and then execute that perfect putt. Selecting between a putter and a wedge when just off the green can be a difficult choice. In Putting From Off The Green PGA professional Mike Davis discusses the factors that go into making the correct selection for you. In this lesson you will learn what types of lies and distances favor each different club selection. The decision often simply comes down to which shot can be executed more confidently. To help you determine your individual strengths, Mike demonstrates a unique “21” practice drill that will help you determine whether a putter of wedge is the best choice for you.